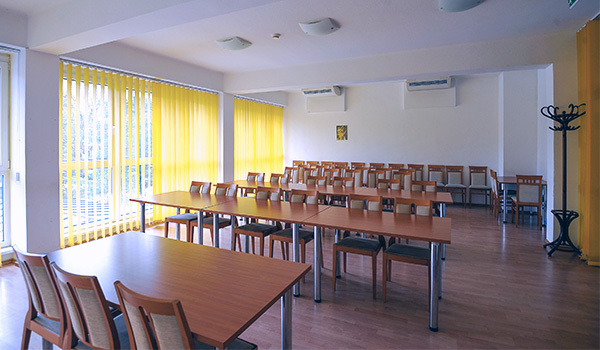 The Sport Hotel*** in Debrecen offers a selection of well-equipped, air-conditioned event halls :two board rooms of 40m² , one meeting room of 60m² and a conference room of 90m². 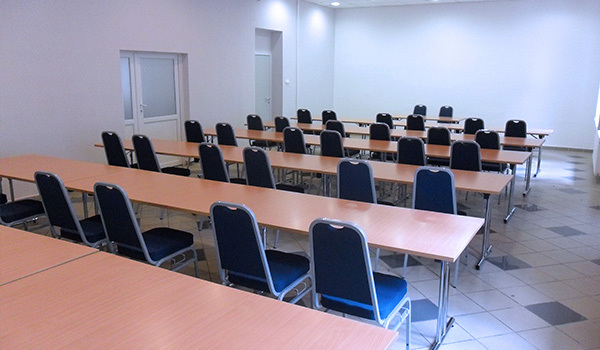 In our event rooms, the basic equipment available consists of a 180x180cm screen, DVD and Video players, a video camera, an OHP, a flipchart board, a CD player, a tape-recorder and a TV set. On request a projector and a technician are at your disposal. 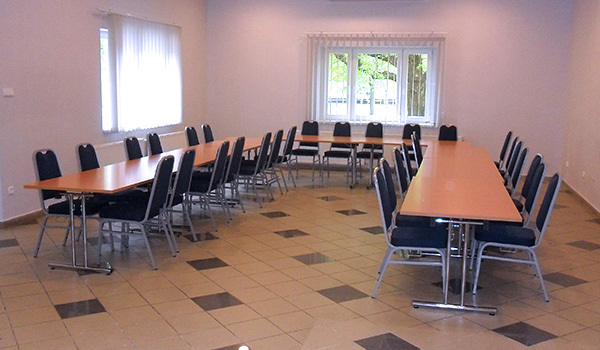 The conference rooms in our hotel can be found in a harmonious environment of high standard, providing an ideal venue to host different company conferences, club gatherings, events, business meetings, trainings or reunions. 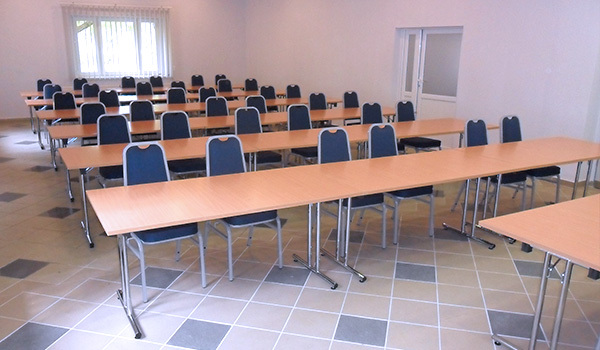 Large-scale events organized for even several hundred participants can be held in the Sports Hall in the close vicinity of the hotel, which can seat 800-1000 people depending on the furnishing. Parking is available free of charge for cars as well as buses in the closed parking plot of the hotel. On request we can offer you coffee break, lunch or dinner, provided that the menu is agreed on in advance.